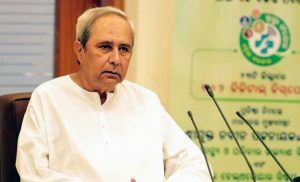 By Bizodisha Bureau, Bhubaneswar, February 3, 2019: Chief Minister Naveen Patnaik on Sunday launched 21 welfare projects in the remote area of Rairangpur in Mayurbhanj district apparently wooing voters in north Odisha for the upcoming elections. The BJD president inaugurated 21 projects at expenses of Rs 45 crore for Rairangpur and Karanjia. He laid the foundation stone of 15 developmental projects to be carried out at an investment of Rs 960.34 crore. The move clearly indicates that Naveen is targeting north Odisha for the upcoming elections. Among the projects, he inaugurated two bridges built on Jaumara nullah of Baripada-Bamanghati road under Bangiriposhi block and on Balijoda nullah under Saraskana block in the tribal district, two 50-bed and 30-bed maternity and child care units in Karanjia Subdivision Hospital and Thakurmunda Community Health Centre respectively, two high-level bridges on Chhamadadihi nullah and Guria nullah under Rairangpur block, six rural piped water projects in Purunapani, Toloko, Kulesishila, Kalimati, Tileijhari and Badamauda under Rairangpur block and nine rural piped water projects in Nuabeda and Maricha under Raruan block, Nuabeda under Sukruli block, Tentala Indkoli under Bahalada block, Kucheipal under Jamda block, Khandabandha and Khuntaposhi under Thakurmunda block, Hatisikuli under Kusumi block and Jata under Tiring block in the district. Besides, Patnaik laid foundation stone of road widening and development of Bisoi-Rairangpur Road on State Highway 50 under Bisoi block and Kalabadia-Bangiriposi road under Bangiriposi block, a high-level bridge on Similipal nullah under Rairangpur, development of Takurmunda-Dangadiha-Udala-Manitri-Baisinga-Rupsa road, a high-level bridge on Kantakhairi River on Mahadev Deuli-Khiching road under Sukruli block, two high-level bridges on Guria nullah and Katara River, three mega piped water supply projects in Rairangpur, Kusumi and Jashipur blocks, three high-level bridges on Bhandan River under Jashipur block, Gobarjoda nullah under Thakurmunda block and Budhabalang River under Bangiriposi block, minor irrigation project under Saraskana block and a high-level bridge on Khairi Bhandan River under Sukruli block. During his visit to Rairangpur, Patnaik provided Rs 15,000 as financial assistance to 7,453 Women Self Help Groups, Rs 25 lakh each to 12 block-level organisations and Rs 3,000 each to 7,467 SHGs for digital empowerment.